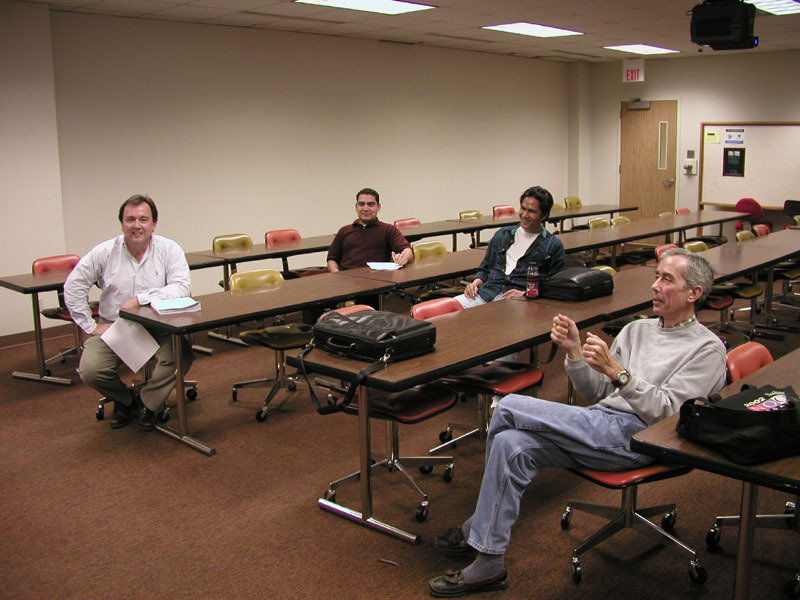 From left to right: John Arnold, Marc Mojica, Jan Catacutan and Bill McCuistion. 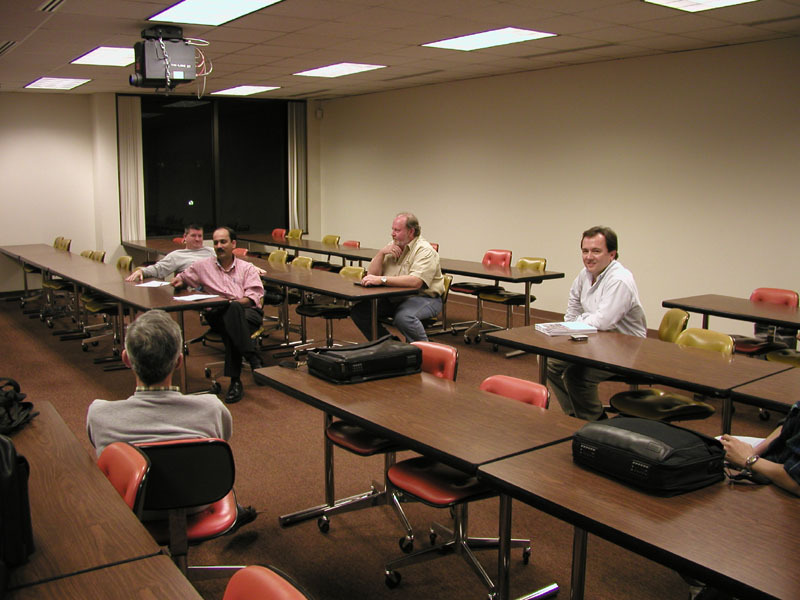 From left to right: Bill McCuistion (back to camera), Randy Chapman, Uday Kale, David Smoot and John Arnold. 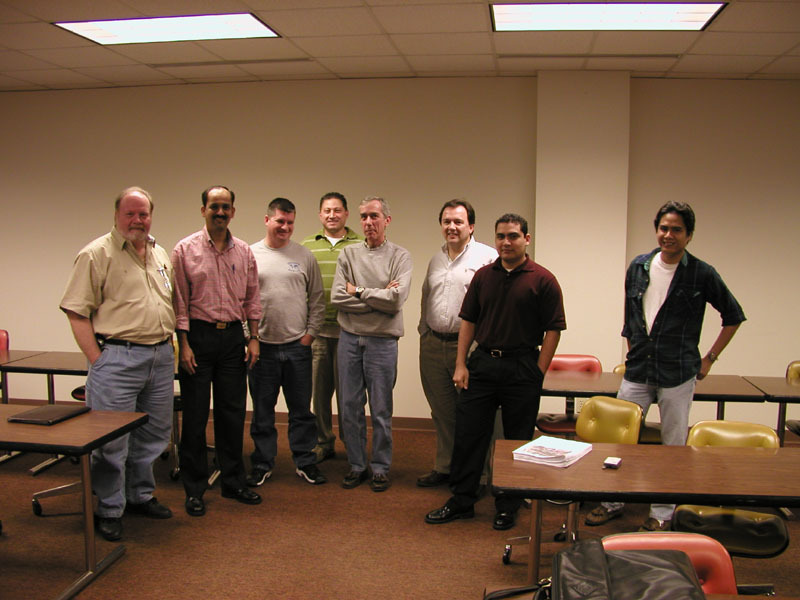 From left to right: David Smoot, Uday Kale, Randy Chapman, Sergio Chacon (our kind host at UH), Bill McCuistion, John Arnold, Marc Mojica and Jan Catacutan. 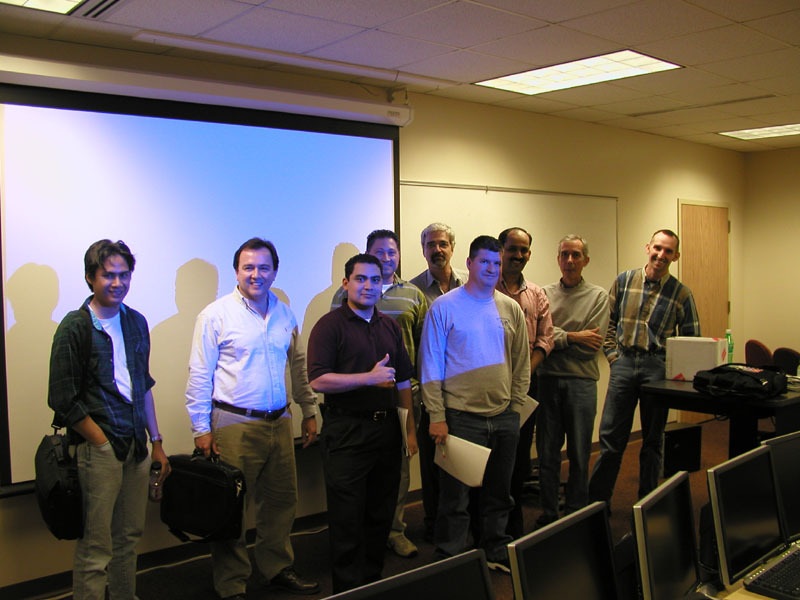 From left to right: Jan Catacutan, John Arnold, Marc Mojica, Sergio Chacon, Kevin Carpenter, Randy Chapman, Uday Kale, Bill McCuistion and Rick Mason. Could not find uday kale’s website.